2Go Travel Promo - SuperFerry Promo 2019 to 2020: Visit Bohol via Cebu this Summer! Visit Bohol via Cebu this Summer! 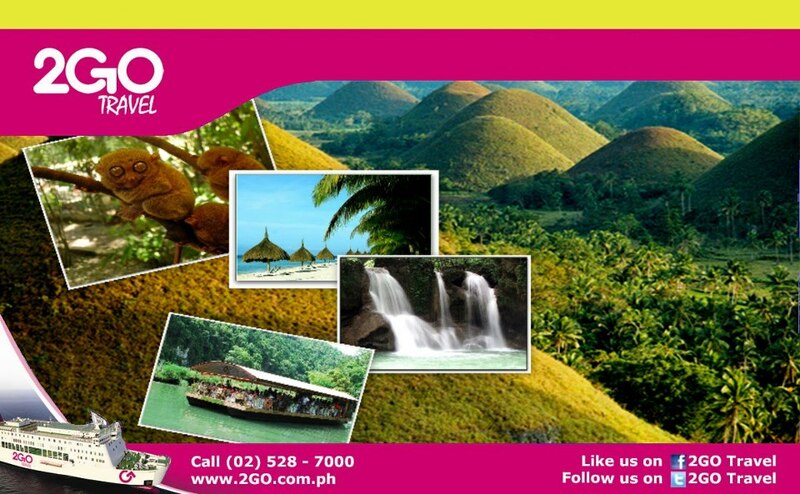 Kill the HEAT of SUMMER in Tagbilaran, Bohol via 2GO Travel!!! It's definitely time to visit the tarsiers! The world's tiniest primate! We sail every Sunday at 11:59 PM and 5 times daily via Cebu. Bohol can offer you splendid tourist attractions that can't be seen anywhere in the world! So, go grab this chance of a lifetime! Sail to Palawan for only P1,200!